What is the mission of Oak City Cares? Oak City Cares is a hub for connecting individuals and families, who are at risk of or are experiencing homelessness, to coordinated services that create a path to stable housing and renewed hope. Our goal is to make homelessness rare, brief, and non-recurring in Wake County. How is Oak City Cares different? Oak City Cares brings many different organizations together under one roof, in order to work collaboratively to end homelessness. Guests come to one central location, tell their story once, and are connected to the services they need: housing, employment, health care, and food. Oak City Cares is a comprehensive, coordinated approach offering onsite help and a bridge to ongoing resources to individuals and families. Oak City Cares staff coordinate services offered by human service professionals, medical providers, and other specialists from multiple partners at our downtown center. Where is Oak City Cares located? Oak City Cares is located at 1430 South Wilmington Street, Raleigh NC 27603. The facility is a renovated county-owned building next to the existing South Wilmington Street Center (an emergency and transitional shelter for men experiencing homelessness). The location is served by existing transportation, is close to other services, and is easily accessible for guests, volunteers, and staff. What are key statistics about homelessness in Wake County? That number increased by 25% over the previous year, even as it declined in North Carolina overall. A total of 3,465 students in Wake County Schools did not have a permanent place to sleep at night during the 2016-2017 school year. Why is a different approach necessary? Individuals and families remain in homelessness much too long while going from agency to agency, navigating a multitude of services. When people remain homeless for long periods, they become isolated and lose hope due to the lack of social supports that are necessary for anyone to overcome homelessness. According to a 2017 SAS Institute analysis of Wake County data from emergency medical, homeless, and jail services, 807 individuals had disproportionately high utilization, defined as at least one incident in all three services. Further, 26 people had high usage of all three services (defined as five or more incidents of jail and EMS interactions, in addition to high utilization of homeless services.) These recurring interactions are costly and, importantly, do not provide long-term, sustainable, and positive outcomes for the individuals involved. Oak City Cares will quickly and effectively connect people with the services that will help them secure housing, find employment, improve health, and become valued members of our community. How was the building designed with consideration for human dignity? The entryway includes a welcome area with coffee station so volunteers and staff can greet guests and make them feel comfortable. Oak City Cares will provide the only public restroom facilities in the downtown area. Cell phone charging stations will be provided and will have locks so that guests can safely leave their phones unattended while they work with providers. Both private and open meeting areas are available. This allows for private discussions between staff and guests as well as large group meetings, which help develop a sense of community. Family areas have been designed so parents and children stay in sight of each other while the adult is engaged in services, which is important for children who have experienced trauma. An outdoor picnic shelter will be available for meals and interaction, for those guests who are uncomfortable staying indoors for long periods of time. What services does Oak City Cares provide? Assessment for and connection to medical, mental health, and substance use care. Laundry facilities, showers, computers, and phones. Does Oak City Cares duplicate existing services? Oak City Cares does not duplicate services. Oak City Cares is a place for existing community agencies to serve guests in one location and address the multiple needs of those experiencing or at risk of homelessness. This not only reduces transportation barriers for our guests, but also allows for deeper and more coordinated partnerships among service providers. You can see a full list of our service providers on our Services page. How do guests access services? Onsite services will be available Monday-Friday by Oak City Cares staff and partner agency staff. Partner human services agencies and nonprofits are onsite to deliver their services on weekdays under a variety of arrangements. Guests will have enhanced access to offsite services by utilizing a call center and through referrals. Volunteers will be onsite each day and volunteer groups will provide weekend meals. Oak City Cares staff will provide coordination of all onsite partnerships and services. How does Oak City Cares work with service providers that are not onsite? Oak City Cares will arrange referrals and transportation to other providers as needed. 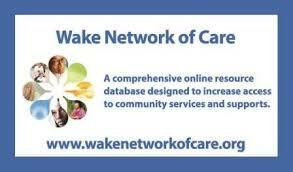 As a coordinated entry and assessment site, Oak City Cares will collaborate with other community providers to share information, identify gaps in services, and connect guests with needed resources. The coordinated data will ensure those with the highest unmet needs receive priority. How does Oak City Cares fit into the big picture of addressing homelessness? Oak City Cares is a hub for connecting individuals and families, who are at risk of or are experiencing homelessness, to coordinated services offered in one location. Oak City Cares provides the long-term strategy for addressing homelessness in Wake County, and is a collaboration among the County, the City of Raleigh, the Partnership to End and Prevent Homelessness, and Catholic Charities of the Diocese of Raleigh. It builds upon the model of compassionate care and connection demonstrated at the Oak City Outreach Center near Moore Square, a temporary solution established in 2014 to serve weekend meals.